Get your own marketing platform with mautic marketing automation software. Instant access to drag and drop website builder and professional templates. Weekly backups of your data to keep you safe. The most popular and powerful web hosting control panel for easy point-and-click management of your hosting account. If, for any reason, you dissatisfied with our hosting services, we will refund the hosting fees of any hosting account purchased. Our support available 24/7 via Email, tickets and live chat. If you have not heard of Flehost before, you are in your dream company. 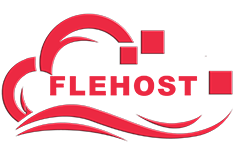 FleHost offers web hosting, cloud hosting, VPS hosting with multi plans include unlimited features and best prices to satisfy all customers. For website migration we need only full cpanel backup ready for download. You do not need to upload it to your FleHost web hosting account, we do this with sure that it works well. the current FleHost web hosting account should have no data in it, as the backup will overwrite any data. +436 scripts For any type of websites ready to install for one click only. Because the risk is all on us. 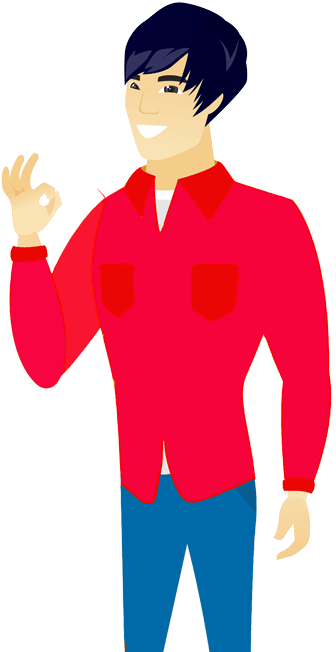 We guarantee that you will always receive reliable hosting services. simply try it for 30 days without risk! 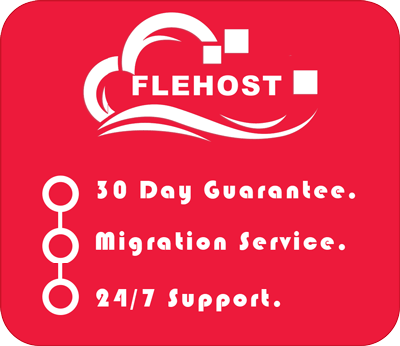 You are absolutely protected by our 100% Risk-Free Guarantee Program.If for any reason we do not satisfy your needs with FleHost web hosting service or simply decide to cancel it during the next 30 days. just let us know and we will send you an instant refund. No questions will be asked. Awesome support, they are available 24/7 and the uptime of my cloud is 100%. I absolutely love their fully managed solution and i feel very secure with them. No issues at all. Thank you FleHost for the fantastic service! So far the best hosting company I've ever used is FleHost. And the best technical and customer support ever. I recommend FleHost to everyone I know around, really. I only had one problem which was my fault and they quickly responded (in 4 minutes) and explained to me very well so I solved my problem with their help. For me technical support is the most important thing, and they are the best so far among any technical company - not only among hosting companies. And I am very happy with their prices and the speed of my site - even though is a WordPress site and on a shared server. I want to thank my good friend Paul for introducing me to FleHost, i have been dealing with bad hostings for about 5 years until now! Everything is good but let me tell you the support service almost make me cry of happiness the first week, the response time for a ticket is 1-2 minutes and they are always online on the main chat ready to help. I was so used to waste a day waiting for support to get in touch that this for me is glorious! Also i joined the affiliate program since i am a developer, now i make easy money on each project! Plus my clients are loving the faster websites with the low prices. Note: when you select register or transfer domain for your web hosting please choose any domain extensions above from list of domain extensions to get it free if you choose another domain extension doesn’t exist in plan that you selected you need to pay for it. Copyright 2017 FleHost.com LLC. All Rights Reserved.